Maria Grech Ganado (b. 1943), poet, translator, critic, studied English at the Universities of Malta, Cambridge and Heidelberg. She was the first Maltese female Full-Time Lecturer at the University of Malta (Department of English). She has published three collections of poetry in Maltese (the first of which won a National Book Prize in 2002) and two in English (the second of which won a National Book Prize in 2006). Her poetry in one language or other has been translated into Italian, French, German, Greek, Spanish, Lithuanian, Finnish, Czech and Catalan. Her work has appeared in English in the UK, the USA, Australia, South Africa and Cyprus. 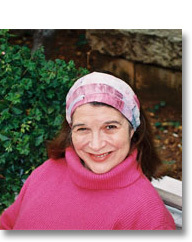 She has been invited to many literary events in different countries and co-organised an international conference with LAF (Literature Across Frontiers) in Malta in 2005. In 2008, thanks to an exchange scheme with Saint James Cavalier, Malta, she was a Resident Fellow for six weeks at the Virginia Centre for the Creative Arts. Maria has also translated into English much of the contemporary poetry and prose written by Maltese writers today and published overseas. In 2000, she received the MQR - Midalja ghall-Qadi tar-Repubblika (Medal for Service to the Republic). She has three children and one grandson.